A dozen vessels are expected to participate in the 29th running of regatta hosted by Silver Gate YC. SAN DIEGO — As many as 12 schooners are expected to be on San Diego Bay for the 29th running of the Schooner Cup, which hits the waters April 1 and is hosted by Silver Gate Yacht Club. This year’s competitors are expected to race schooners ranging in length from 35 to 150 feet. A limited number of guests will be able to watch the action from California’s official tall ship, Californian, the 136-foot schooner Bill of Rights or a replica of Juan Cabrillo’s 1542 ship San Salvador. Guests viewing the regatta from Shelter Island do not have to register. Organizers said spectators should arrive by 11:15 a.m. on April 1. 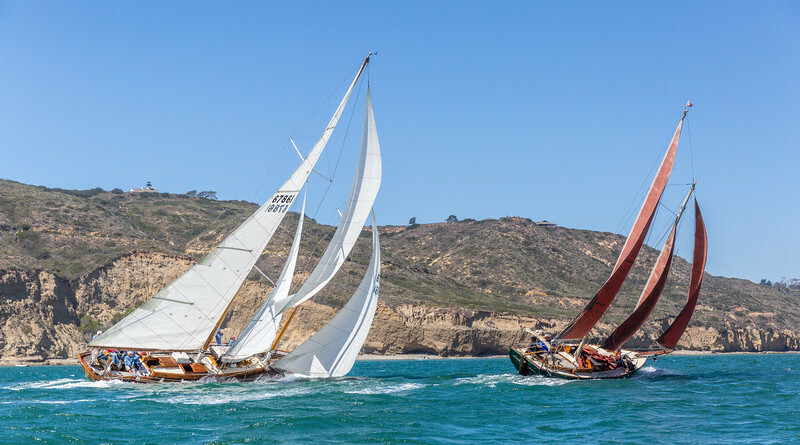 Schooners will begin the regatta from Shelter Island in groups starting at 11:30 a.m. and race throughout San Diego Bay before returning back to Shelter Island for their respective finish within two to three hours. Maritime Museum of San Diego announced ticket prices to view the regatta from Californian or San Salvador would be $65 for adults and $48 for children. Visit sdmaritime.org or call 619-234-9153, ext. 106, to purchase tickets. Proceeds from the regatta benefit the Navy/Marine Corps Relief Society, a nonprofit assisting Marine Corps and Navy families. Last year’s Schooner Cup raised about $30,000 for the same organization. Troy Sears sailed his 94-foot America to a first place finish in last year’s Class A. Maid of Kent, owned by Jerry Newton, completed its 25th entry in the 2016 Schooner Cup and finished first in class (second overall on elapsed time) with Paul Mitchell at the helm. Star Clippers sponsors this year’s Schooner Cup. The first Schooner Cup was held in 1988 to benefit the Navy/Marine Corps Relief Society. Schooners come from as far away as the Pacific Northwest to compete in the annual regatta in San Diego. Additional information about the 2017 Schooner Cup is available online at americasschoonercup.com. Featured schooners can be viewed at bit.ly/2mirOlv.